Bright and airy one bedroom unit in a brick elevator well maintained building. HEAT AND HOT WATER INCLUDED! Well-kept shared laundry in building. Enjoy coastal and city living all in one. 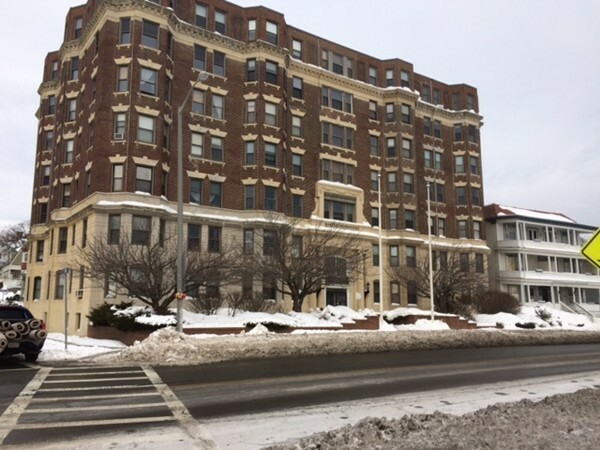 Step outside and onto the beach or walk to Downtown Lynn , Swampscott or Nahant with popular restaurants, shops, farmer's market and much more. Lynn Commuter is within .75 miles, with 20 minute train ride to North Station. Only 10.35 miles to Logan Airport. Easy access to Routes 1/1A/129,95.